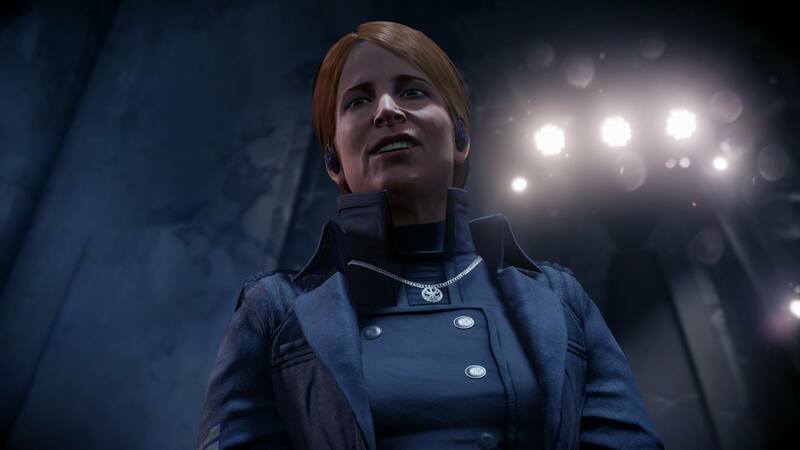 PS4’s first big post-launch exclusive is here, and it’s pretty damn impressive! 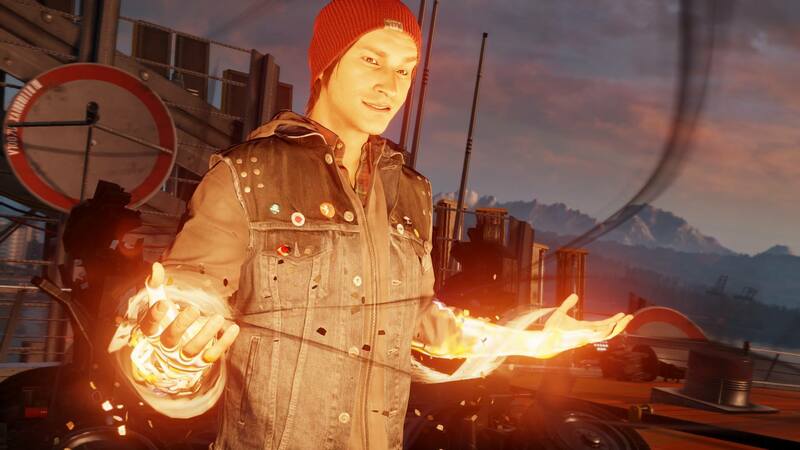 inFAMOUS: Second Son is the third game in the franchise, yet it’s not a traditional sequel, and that’s likely a good thing, as I personally know several PS4 owners who haven’t played the first two games. For those that are new to the inFAMOUS franchise; these games are open world, but heavily story driven. There’s always a clear focus on the task at hand, but plenty of opportunity to traverse the city and help or hinder its citizens. Whether you’re good or evil depends on your actions, which affects your karma. Subduing a hostile enemy will net you good karma, while incinerating him will grant you the opposite. There are also several major decisions set in front of you through-out the story which also sway your stance on the karma meter. From experience, it’s best to pick a side from the get-go, as karma affects your abilities and the end goal is to either be a hero or a villain, with maxed out powers. 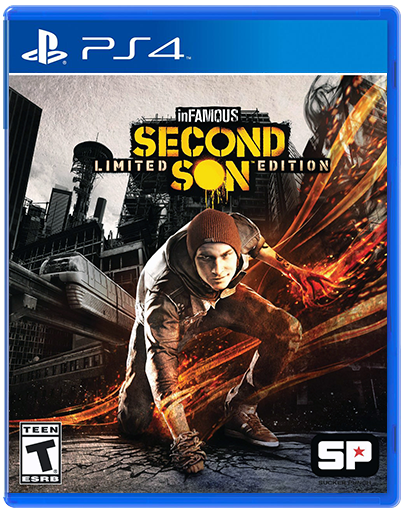 Second Son takes place 7 years after the events of inFAMOUS 2, and the heroic demise of Cole MacGrath. People with abilities have come out of the wood work, and a military organization called the DUP has been formed to keep them in line, or rather, imprisoned. 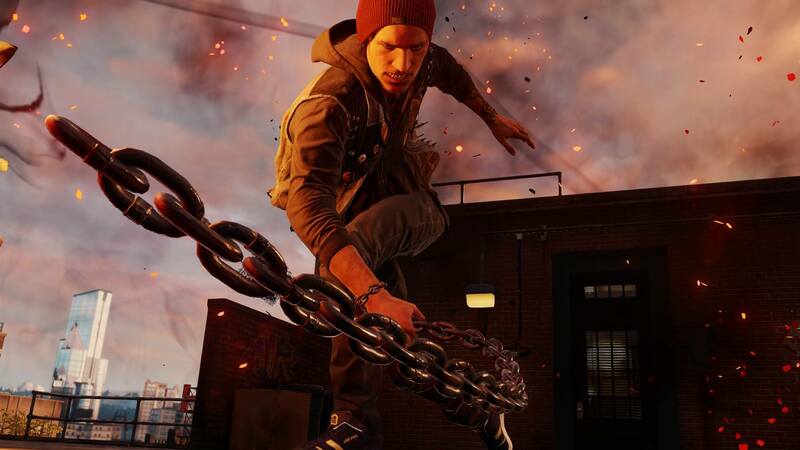 Second Son’s protagonist, Delsin Rowe, quickly discovers that he is a conduit whose powers far exceed most others. 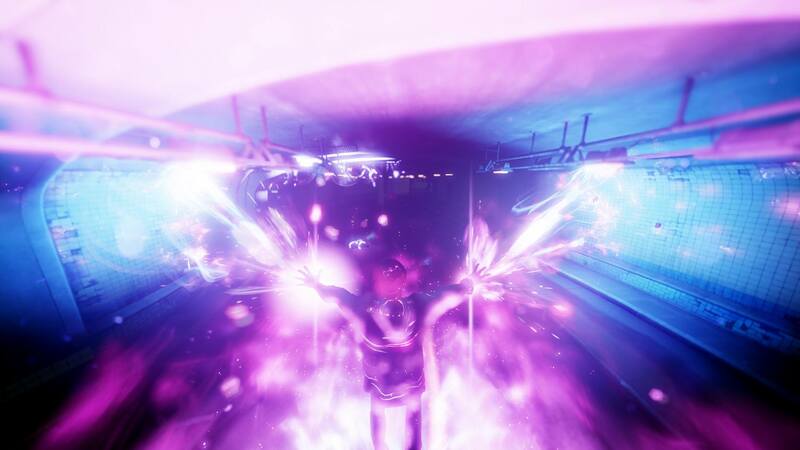 He has the ability to absorb superhuman powers from other conduits, which makes him especially unique. 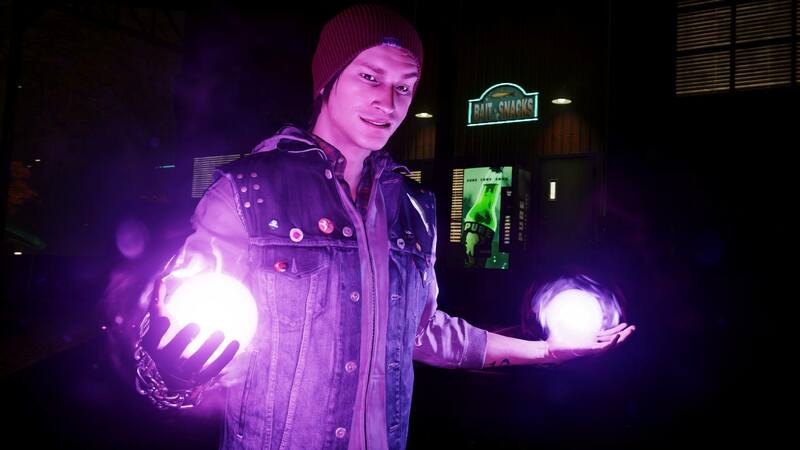 Through-out the story, Delsin acquires a number of powers, which he can switch between by simply refuelling from a power source. 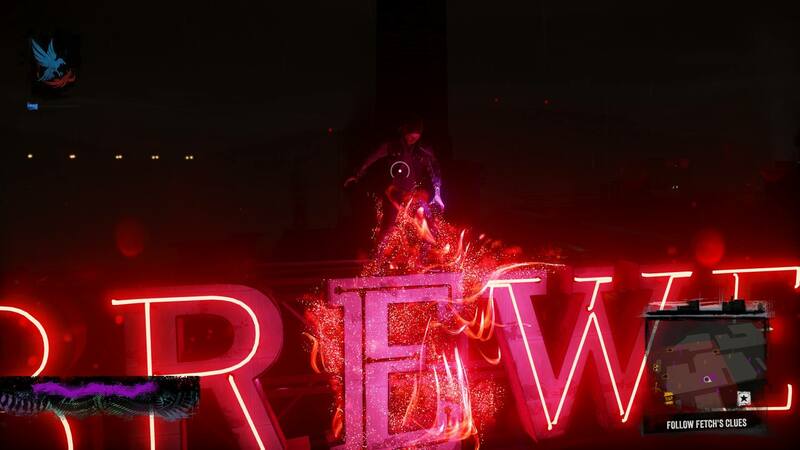 Smoke and Neon are shown in the trailers, but I won’t mention the other two. 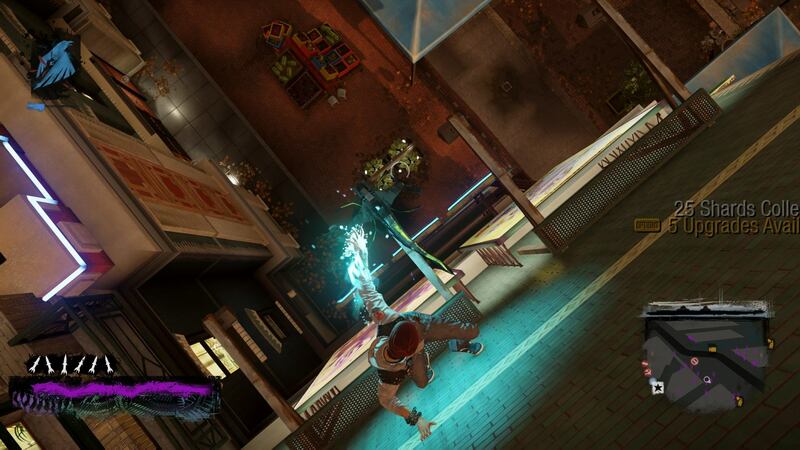 Each of the powers comes with its own set of abilities, which are essentially all just variations of one. 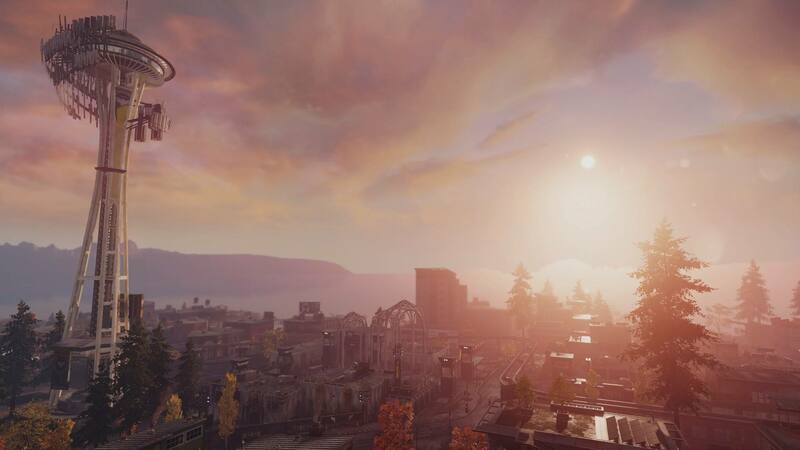 There’s a rapid fire shot that does minimal damage, a heavy shot that can take out vehicles and heavily armoured enemies, a mode of quick transportation, and a non-lethal weapon for temporarily incapacitating multiple enemies. Then there’s the karma bomb. As you perform good deeds, the karmic bomb meter fills up, one line at a time. Once it’s filled, the karma bomb can be unleashed, and Delsin delivers an absolutely devastating blow to enemies within a large radius. Each power has its own karma bomb attack, and each is glorious to behold, every single time. 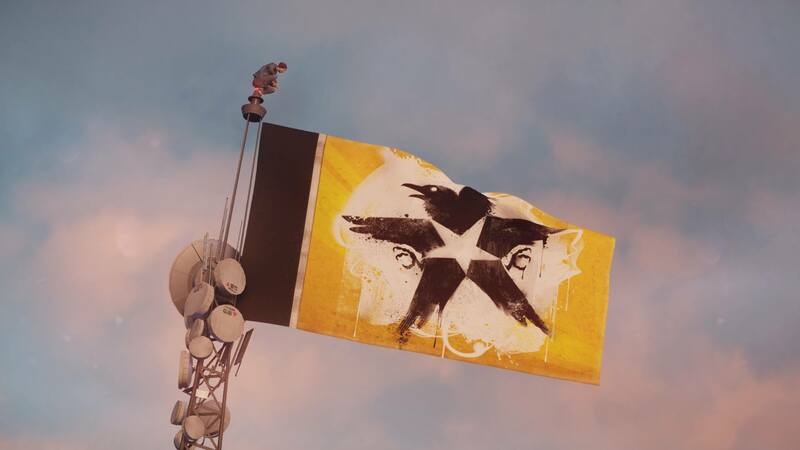 If someone asked me to show them something cool on the PS4, this would be it, without a doubt. 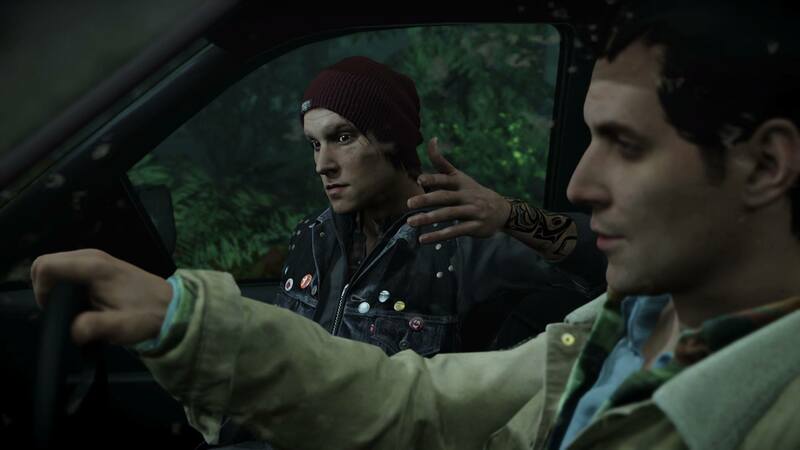 Back to the story – Delsin and his brother head to Seattle after a prison break occurs on the outskirts of the small town they live in. 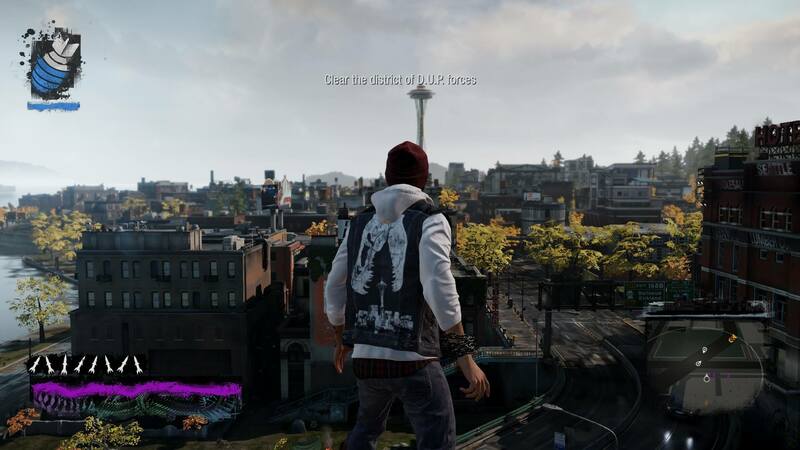 Seattle’s now in lockdown as several conduits (labelled bio-terrorists) have escaped custody, and the DUP have gone on a bit of a rampage, essentially taking over the entire city and locking up every suspected conduit. 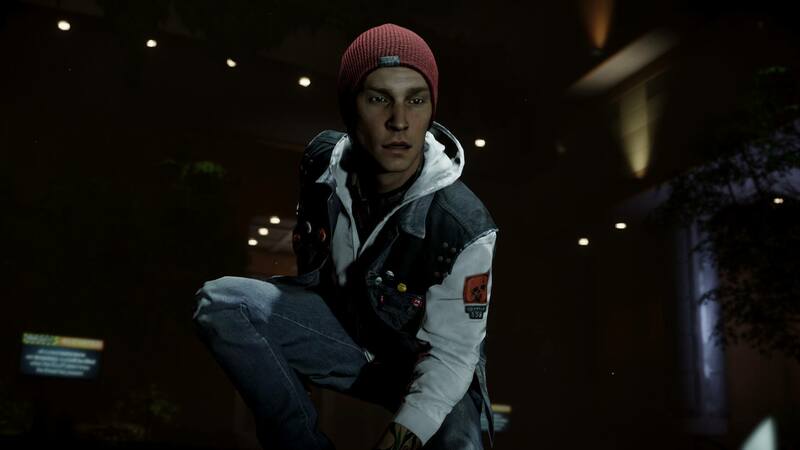 Delsin is a bit of a miscreant, which is contrasted beautifully by his brother, who’s a cop. 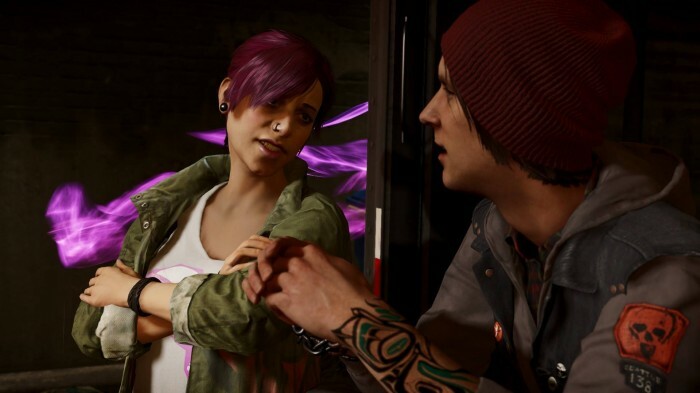 There’s this constant power struggle between the two, and for the first time, Delsin is the one with the upper-hand, given his new found abilities. There are a number of side activities to keep you busy, between story missions, or once the story is complete. They range from breaking up drug deals, to destroying DUP outposts, to dealing with undercover DUP agents, and so on. There isn’t a huge amount of variety here, and if you blow through the story and leave this stuff to the end, I’m sure they would get tedious very fast. I found it best to take care of a handful of side activities between story missions. The story is much shorter than I expected, and even wrapping up all of the side activities didn’t take anywhere near as long as I thought it would. 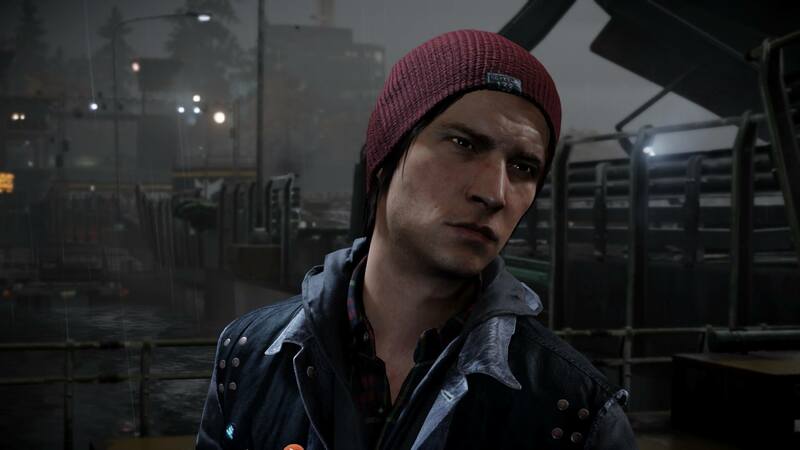 But Second Son is very much intended to be played as good and evil, so that has to be taken into consideration. Character animation and voice acting are absolutely fantastic. Right from the get-go, I was blown away by the emotion portrayed on these digital characters’ faces. But impressive visuals don’t stop with the character models. 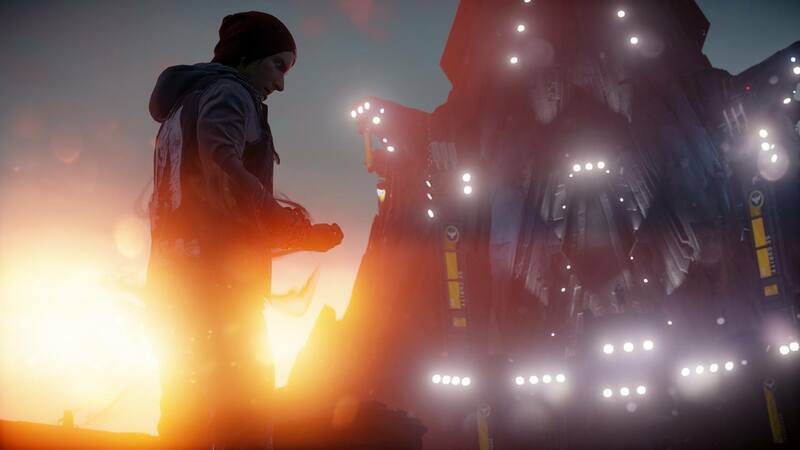 Every aspect of Second Son is gorgeous. From the sprawling city streets, to the neon drain effect, to the massive amount of particles flying through the air with each explosion. 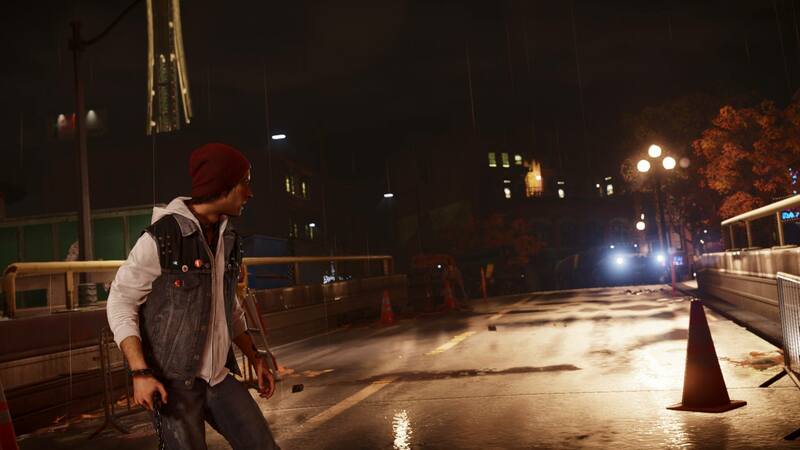 Second Son is the new show piece for the PS4. 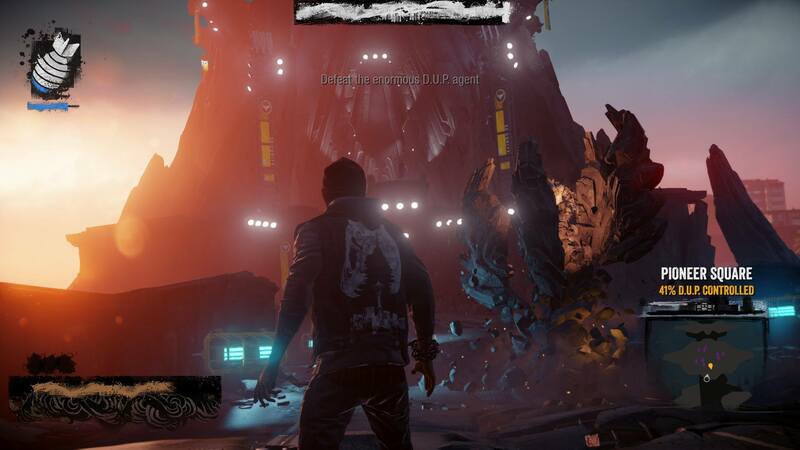 A really neat aspect of Second Son, is the Paper Trail; free additional content that’s bridged between the game and the Paper Trail website. 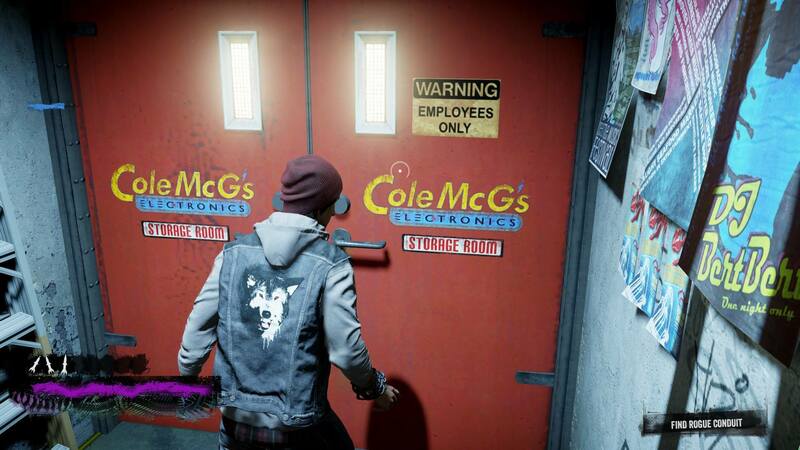 It basically requires you to be a detective, by finding clues in the game, assessing them on the website, and unlocking the next mission in game. It’s a unique concept, and works pretty well. Paper Trail is definitely a slower pace than the rest of the game, given how much time is spent outside of the game itself, but enjoyable nonetheless. 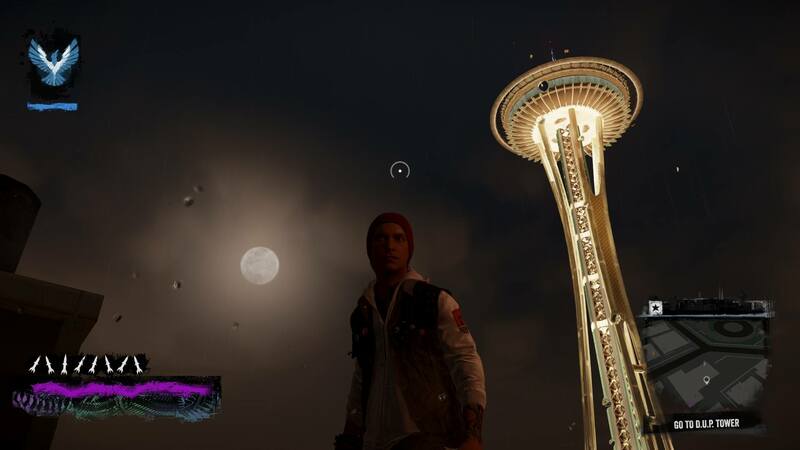 After completing the story and all of the side activities, my only complaint is that I would have liked to have spent more time with Delsin in Seattle. 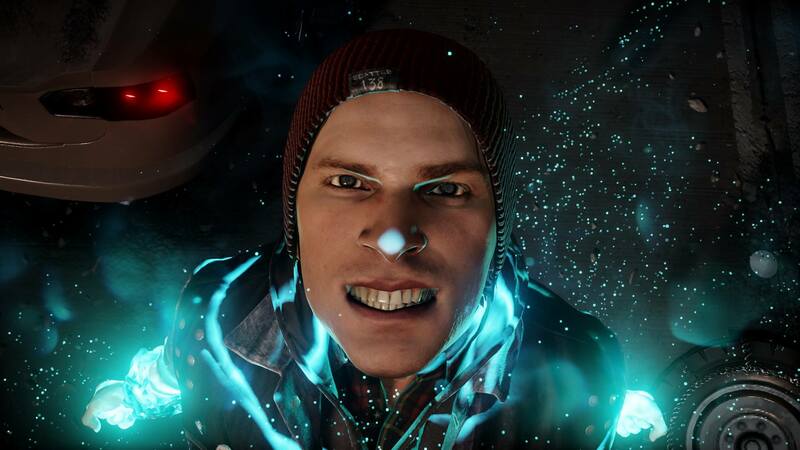 Previous inFAMOUS games felt super long, but the quality of some of the story missions wasn’t quite as high as those in Second Son. So I guess that’s the trade-off. Quality over quantity. 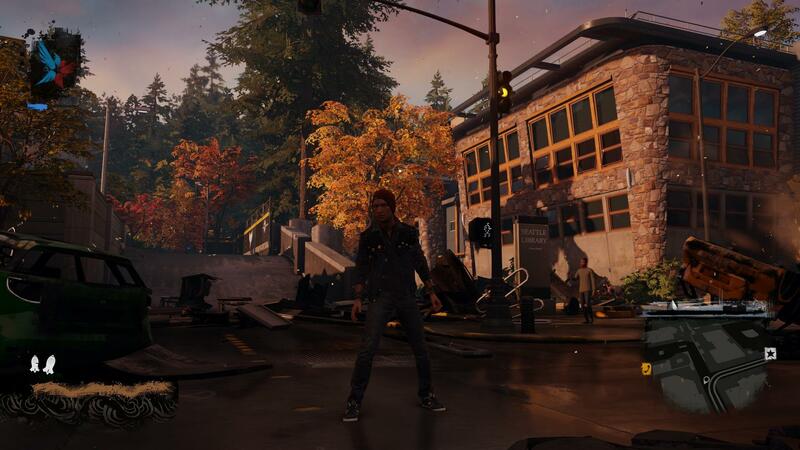 Regardless of its length, which is still likely around 12-15 hours, inFAMOUS Second Son is a very solid game, and super impressive in every regard. 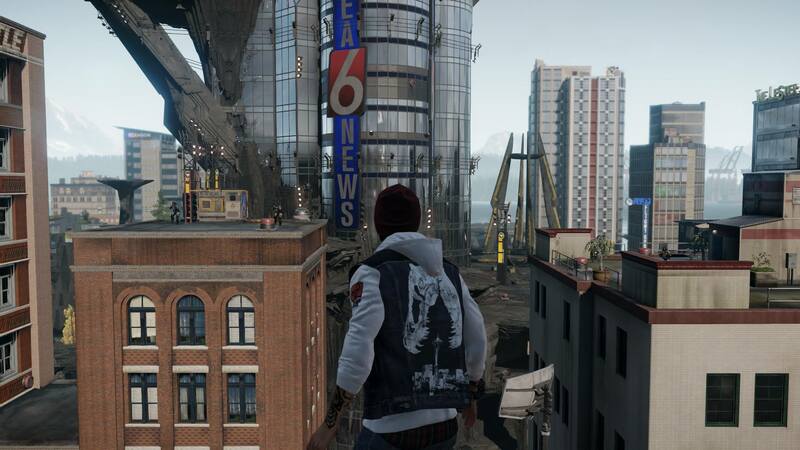 All images and videos used in this review were captured via PS4’s Share Button.